Results of a study of antidepressant treatment for major depression suggest that changes in personality traits seen in patients taking the drug paroxetine (Paxil) may not be the result of the medication’s lifting of mood but may instead be a direct effect of this class of drugs and part of the mechanism by which they relieve depression ceus for social workers Background People with a high level of the personality trait neuroticism—characterized by a tendency to experience negative emotions and moodiness—are more likely than others to develop depression. Neuroticism is one of five personality traits that psychologists use as an organizing scheme for understanding personality: the other four traits are extraversion, openness, conscientiousness, and agreeableness. People who take anti-depressants report lower levels of neuroticism and increased extroversion, in addition to a lifting of depression. The assumption has been that these changes in personality measures were the result, not the cause, of a lifting of depression. Studies in twins suggest that to a large degree the same genetic factors underlie both neuroticism and depression risk. Research also suggests that the neurotransmitter serotonin plays a role in the expression of both neuroticism and extraversion. The class of anti-depressant drugs to which paroxetine belongs—the selective serotonin reuptake inhibitors (SSRIs)—increase the neurotransmitter’s availability in the brain. This Study To test the relationship between SSRIs and personality, investigator Tony Tang and colleagues at Northwestern University, Evanston, IL, the University of Pennsylvania in Philadelphia, and Vanderbilt University in Nashville, TN, randomly assigned patients with major depressive disorder (MDD) to receive paroxetine (120 patients), placebo (60 patients), or cognitive therapy (60 patients). 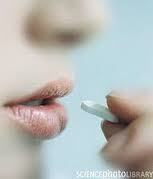 After 8 weeks, medication and cognitive therapy (CT) each proved more effective than placebo in reducing depression. In addition, measures of neuroticism (based on standard surveys) in the groups receiving medication or cognitive therapy dropped, while extraversion scores rose. The changes were striking; while patients receiving placebo also reported small changes in both traits, the changes in patients on paroxetine were four to eight times as large. Patients receiving paroxetine had much greater changes in personality traits than patients receiving placebo even when the degree of improvement in depression was the same. This suggested that the effects on personality traits were not the result of the drug’s lifting of depression. After accounting for decreases in depression in patients receiving CT, the improvement in extraversion, but not neuroticism, remained significant. In further comparison of paroxetine with placebo, patients who had initially taken placebo were given the option after 8 weeks to take paroxetine. During the placebo phase, there were small changes in neuroticism and extraversion; much greater changes occurred after 8 weeks on paroxetine. Finally, those patients on paroxetine with the greatest degree of change in neuroticism (but not extraversion) were least likely to relapse to depression; the degree of changes in personality in those receiving CT did not affect the chances of relapse. Significance While the neurochemical effects of SSRIs are known, how those changes act to reduce depression is not clear. These results contradict the prevailing assumption that changes seen in personality traits in patients taking SSRIs are a result of the drugs’ effects on depression. SSRIs may alter personality directly—and thus lift depression—or may act on a third factor that underlies both. CT may alter personality by a different path. Continued research on how these treatments work can provide a clearer understanding of the mechanism of action of SSRIs and how treatment can be best used to reduce depression and minimize relapse. Reference Tang, T.Z., DeRubeis, R.J., Hollon, S.D., Amsterdam, J., Shelton, R., and Schalet, B. Personality change during depression treatment. Archives of General Psychiatry 2009 Dec;66(12):1322-30.